Arango Insulation offers professional commercial insulation services to businesses throughout Columbia, South Carolina, and all surrounding cities. Our extensive experience installing insulating materials in commercial structures across the southeastern United States allows us to respond quickly to requests for service, providing some of the fastest turnaround times in the industry. In fact, we often are able to be on a worksite within 24 hours of being hired. This incredible expediency makes us the ideal contractor for commercial construction jobs with a tight deadline. 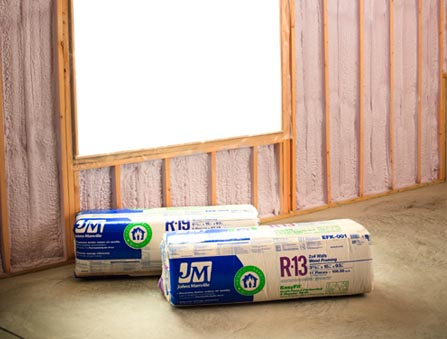 With insulation ranging from loose-fill cellulose and radiant barrier to spray foam and fiberglass batts and rolls, we have the products necessary to handle virtually any and all commercial installation projects in the Columbia, SC, area. And, because we understand the value of a job done well and on time, each of our installation teams is composed of highly trained technicians and a dedicated project manager. So, you can rest assured we will set up your insulating materials properly and according to your construction schedule. Contact Arango Insulation today to learn more about the advantages of turning to an experienced contractor for all your commercial insulation needs. We proudly serve all Columbia, SC, businesses.